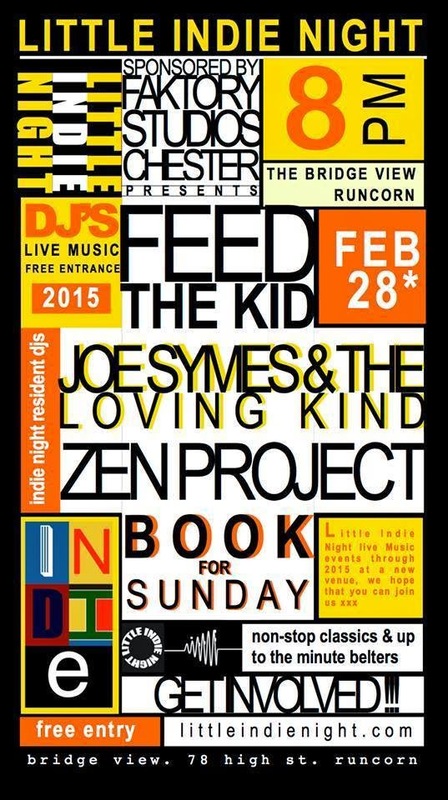 Little Indie Night: Book For Sunday - This Saturday Night - Runcorn !! Book For Sunday - This Saturday Night - Runcorn !! What ? 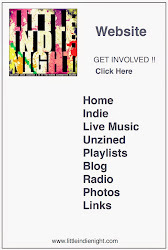 ..... No Playlist ? & hats off to you ... who do. I went to see The Spitting Pips recently ... honestly a top group of lads from Rhyl in London ( for our U.S.A readers ) ... apart from the quality music that they are coming out with, Zack rounded off a few words that could have easily been lost to the smoke of a brilliant night. I noticed though. Not word for word i must emphasise, but it went something like this ( i think ) .... 'You are boarding up good venues and it IS your fault ! ... Get out again & create a scene ! ... Give the next generation a chance !' ... could have been something completely different but thats along the lines of what I heard. The Bridge View. Runcorn. 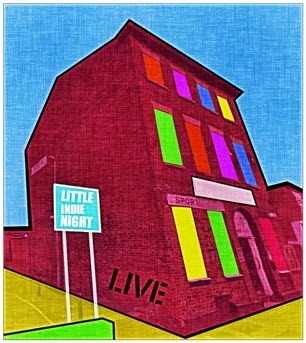 High St.
And just like this Saturday .... We are proud to announce that from Easter ( Thursday 2nd April ) The Little Indie Night will be working with Ugly Man Records putting on events in Halton monthly which will provide a stage for good local musicians and established artists alike. Ugly Man as you know, have worked with numerous artists including Elbow. This Saturday we are at The Bridge View in Runcorn .. entrance is FREE so its easy on the purse strings too. Beer is chilled. Check Book For Sunday below.